Created and chaired by Talat Ansari in New York City, Kelley Drye’s busy India practice group advises U.S. clients who are investing in or expanding to India, and the increasingly large number of Indian businesses coming to the States and acquiring U.S. entities. “Ours is a very specialized group,” he says. “All of us are admitted in both jurisdictions, and have all practiced in India so we know the culture and how the legal system functions there. 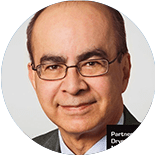 We have had a robust India practice for more than 40 years, and we continue to expand, having just recently hired a partner in our Stamford, Connecticut office.” Ansari was a litigator in New Delhi when he joined the firm in the 1980s. The firm has become one of the most well-respected U.S. firms to have carved out a niche India practice. In recent years, the team has represented Tata Consultancy in its acquisition of Citibank BPO, and iDream Holdings in its acquisition of Strix Systems. Th e media has also recognized Ansari’s group for its representation of industry leaders such as Novartis Vaccines & Diagnosis and Novartis Pharma, Sprint Nextel, SBI Holdings, and Matheson Tri-Gas. 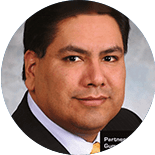 Dino Barajas splits his time between Los Angeles, New York, and Latin America, focusing his practice on domestic and international project development and finance, with particular emphasis on Latin American infrastructure projects, debt financings, and mergers and acquisitions. 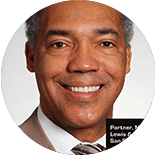 His clients include commercial lenders, institutional investors, investment funds, project sponsors, and public and private companies. 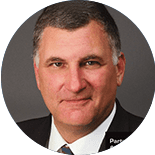 Compared to his early days in the profession, Bajaras notes that generating business has become an increasingly bigger challenge. “Where there were once regional powerhouses, today’s multi-national firms have grown so large that they’re often in four or five markets around the world. Branding simultaneously in different regions is not easy. Also the pool of competitors has gotten larger—that raised the bar. No one can rest on his or her laurels. You have to be there pressing the flesh, meeting new people. Marketing is a 24/7 thing—it’s really just nonstop. “We’re not a lockstep compensation firm,” says Eunu Chun. “You can make a good living without bringing in a lot of business, but if you want to achieve an off -market level of personal income you can make more if you bring in more. I’ve lost more pitches than you can imagine, but if you get a five to ten percent yield rate you’re doing great.” When Chun joined Kirkland as the global firm’s first-ever direct-from-law-school associate, he was very conscious that he was a guy from a non-establishment background going into an establishment place, so he spent a lot of time watching and learning. “Looking back, those years are a blur. I was working way too hard. Eventually, I figured out how to get ahead and found my voice. 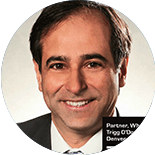 “Private equity is run by young people, and early on I had the opportunity to play the principal role in transaction and was working directly with clients. Soon I had my first client. Once tagged as a billing partner I could go out and get more work. Within a few years I was doing all my own work.” Today he represents a handful of private equity funds in leverage buyout transactions. The son of Korean immigrants, Chun grew up in Chicago’s predominantly white northern suburbs where he excelled academically, but always felt a little out of place. 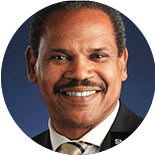 During his undergraduate experience at Harvard, and even more so at Columbia Law School, he says, the world really opened up. “In diverse New York City, my confidence soared. People’s first impression of me was no longer driven by my ethnicity which had been the case in high school. The shackles were off , and I realized that I could achieve bigger success than I’d previously imagined. “These lean years require ingenuity to get work because of the fierceness of the competition,” says Mercedes Colwin, rainmaking managing partner in Gordon & Rees’ New York office and national legal analyst on the Fox News Network. 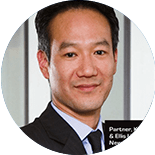 “It’s important to maintain a constant presence in the marketplace and perform high quality work at all times.” Prior to joining Gordon & Rees as a defense attorney, in 2006, Colwin headed the litigation team for a regional New York firm. 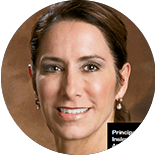 Before that she had been a municipal lawyer, an in-house litigator for an insurance company, and a full-time administrative law judge for the New York State Division of Human Rights. 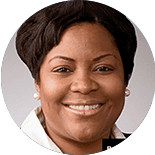 As a rainmaking attorney at a D.C.-based boutique IP firm, Eldora Ellison spends a lot of time on business development. “I do the usual: make presentations, write papers, and meet people. Also I work hard at keeping existing clients happy and that requires addressing their uncertainties. 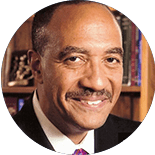 Lately, I’ve been helping them to understand the sweeping patent reforms contained in the America Invents Act enacted in September.” Prior to becoming a lawyer, Ellison earned a Ph.D. in biochemistry, molecular, and cell biology. She then joined a law firm, became a patent agent, and attended law school at night before moving to Sterne, Kessler, Goldstein, & Fox. 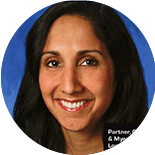 Today, she is a director in the biotechnology/chemical and litigation groups focusing on patent litigation, particularly in the life sciences. Her clients have included large multinational corporations, small start-up companies, universities, and other not-for-profit organizations. “The idea that you rise to rainmaker status by yourself is incorrect,” says David Galainena. “You’ve got to know what you can and cannot do, and you’ve got to build a good team. 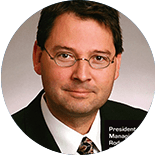 It’s wise to surround yourself with smart lawyers.” Traditionally, bringing in new clients and generating business has often been a measured and thoughtful process, says Galainena, but since the 2007 market meltdown, the legal business has changed. There is now greater pressure to produce revenue immediately. Over the past four years, Galainena’s practice has changed as well. “Some clients from before have disappeared while others are moving in new directions. It’s no longer a pure-finance practice. There’s definitely a private equity component involved now. And this is driven by the fact that we’re working with active clients and that’s where the market lies today—it’s not in traditional structured market finance. Colleagues describe Daniel Johnson as a rainmaker but he balks at the expression. “I’m a lawyer who handles very big cases that generate a lot of fees. To me, rainmakers are relationship people. They bring in the business and let others do the work, whereas I’m selling a skill set that requires me to assemble a good team and be there.” Johnson’s practice includes IP litigation (patents and license disputes) as well as general high-stakes litigation. Throughout his career, Johnson says he has “consistently but randomly” attracted big cases mostly due to his willingness to take risks. And because he got good results, it became increasingly easier for him to get the next case. 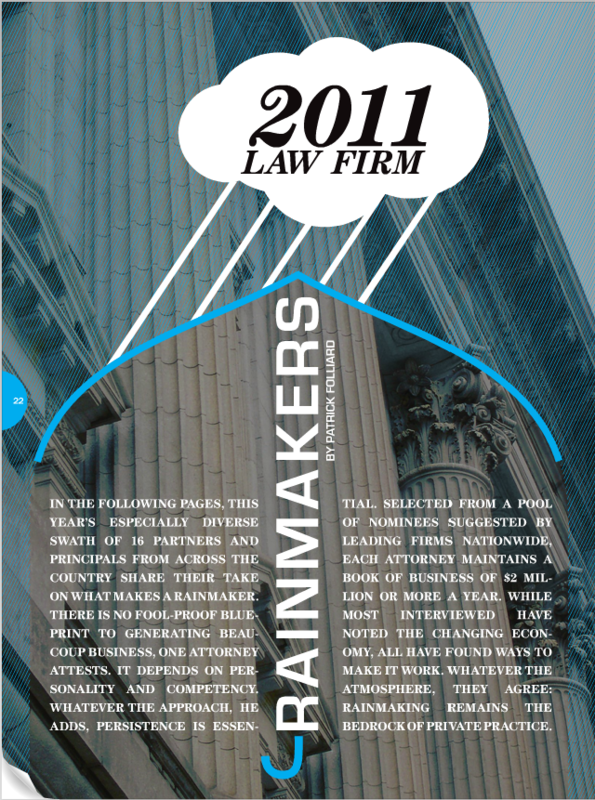 Prior to joining Morgan Lewis in 2005, he was a rainmaking partner at Fenwick & West. He also served as a deputy attorney general to the State of California. Johnson graduated from Yale Law School. 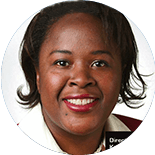 Demetra Liggins’ bankruptcy practice focuses on Chapter 11, liquidation, out of court restructuring, and litigating commercial disputes stemming from debtor/creditor relationships. After ten years in the profession, she has been a rainmaker for awhile. Was there ever an exact moment when Liggins suddenly realized that she had reached the envied strata of rainmaking? “It was more like I suddenly understood that I possessed a talent for maintaining multiple professional and personal relationships. It’s important and interesting for me to know my clients and their businesses, and once I obtain that knowledge I use it to help them move their businesses forward. In turn, I also get more business from existing clients and new client referrals. 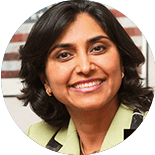 Prior to founding her eponymous firm, Murthy practiced corporate and real estate law at large firms in New York and Baltimore. During those years she was most happy when she was occasionally given an immigration case. “When I’m doing immigration, I feel that I’m making differences for people—opening doors for them and providing them with opportunities. Th is is why I went to law school in the first place.” As a young associate, Murthy was mystified by all the schmoozing and backslapping. Intuitively she realized that for her success would come by finding meaning in her work: “I didn’t go into law for the money. Becoming a rainmaker has been one of the biggest surprises of my life. Vigil’s New Mexico roots reach back over two hundred years. His father was the first in the family to attend college and made certain his children did the same. After earning a B.A. 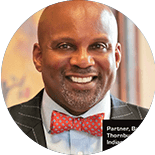 in business, Vigil (whose siblings include a neurosurgeon, neurologist and a Ph.D. professor in chemical engineering) went on to graduate from the University of Michigan Law School. Sometime in the future, Vigil would like to serve as an appellate judge or teach at a law school, but he has no certain plans. Typically throughout his career, opportunities have presented themselves and Vigil has made sure to seize them. He expects he will know when the time is right.